Did you know that the steering won’t lock until the key is not only turned to OFF, but also removed? So why can’t you steer to the curb? Even without power steering, a moving vehicle steers much, much easier than when standing still. Did you know that even with the engine shut off you still have several brake applications before all boost is lost giving lots of opportunity to stop safely albeit with some extra effort on the brake pedal. Even then, there’s still the EMERGENCY BRAKE! Oh, and let’s not forget that you always have the option of turning the key back ON which turns air bags back ON even if the engine is still off. By keeping your head, rather than panicking it’s so easy to drop the transmission into Neutral, start the car back up and when back in Drive, carry on. THEN GET THE CAR FIXED!! 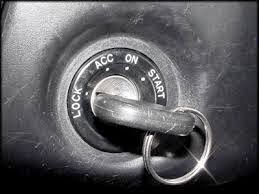 All of which gets us to the next new thing: Push Button Start. Now we don’t have a key, but how do you shut things off when things go wrong? Supposedly the dealership should instruct the driver how to do it (push the button repeatedly like as if you’re in a panic) but many salesmen that I’ve asked have no idea themselves. Scary thought. Then it’s in the Owner’s Manual too – which no one actually reads. Also, the power won’t shut off completely until the transmission is placed into Neutral or Park. Operating a motor vehicle is not rocket science but it does require concentration and an awareness of surroundings. Learning how to deal with the unexpected will lead to a better driving experience. Maintaining the vehicle will also increase it’s (and hopefully your) life. Beats the alternative!